Non-Public Assistance SNAP (Supplemental Nutrition Assistance Program), formerly called Food Stamps, helps low-income households by supplementing their monthly food budget. Eligible households use an electronic benefit card and PIN (personal ID number) to access their benefits at the supermarket checkout counter the same way a debit card is used. 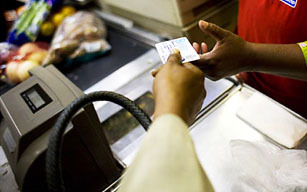 There are many supermarkets throughout the county where recipients can use their benefit card. 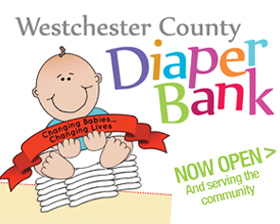 Westchester County residents can apply on-line at the My Benefits New York web site. Applicants may also mail an application, obtained by calling (914) 995-3333. Residents may also apply during regular business hours at any District Office. This USDA Pre-Screening Tool can be used to determine if you may be eligible to receive SNAP benefits. Households containing an individual age 60 or over, or one who is permanently disabled, do not have to meet the gross monthly income test. If your household has little or no money and requires help right away, you may be able to receive expedited benefits to meet your food needs under SNAP. You must submit an application and be interviewed first in order to determine eligibility. If you qualify, you will receive your initial benefit within five days of application. You will still have to complete the eligibility process and supply all necessary and requested documentation within 30 days for continued eligibility. Further information on eligibility for SNAP (food stamp) and other public assistance benefits can be accessed at My Benefits New York or by calling the Westchester County Department of Social Services Case Management Information Center at (914) 995-3333. In partnership with Westchester County Department of Social Services, the Cornell Cooperative Extension of Westchester provides nutrition education to SNAP participants under the Eat Smart New York Program. The program enables participants with limited budgets to make healthier food choices. The ESNY classes meet in convenient places such as schools, senior centers and other community based locations. Learning through ESNY is hands-on. Program participants prepare, cook and taste a variety of different foods and everyone who participates in a series of classes receives a certificate. To learn more or enroll in ESNY classes, call (914) 285-4630 or visit the Eat Smart New York Program.